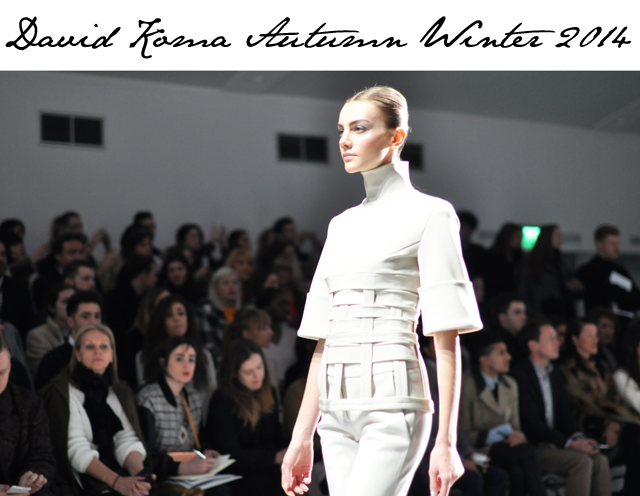 While many designers looked to women of the future for inspiration in designing their collections for autumn winter 2014, David Koma took a look back in time and found himself inspired by the women portrayed in paintings by Lucas Cranach the Elder. That would explain the sky high necklines, waist whittling garments, longer hemlines and amazing corsetry. David Koma kept a quite dark palette for autumn winter, minus a flash of white or purple here or there, which resulted in a very moody atmosphere that the models themselves reflected perfectly as they walked without a hint of a smile in sight. The lights perfectly captured the magic of leather and glossed pony skin working together to make these garments look like the height of sophisticated modern luxury. 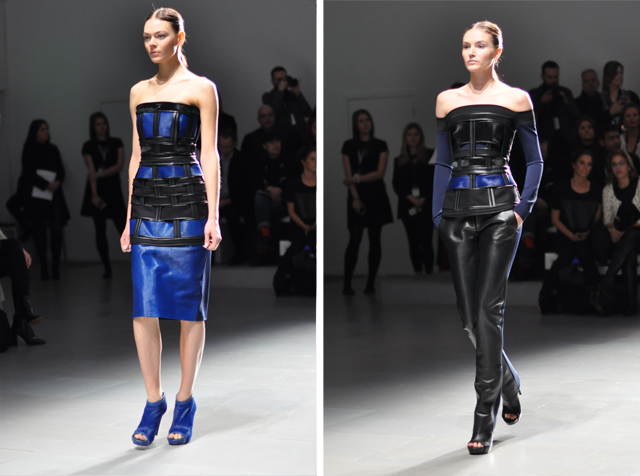 We imagine there could be a Beyonce or Lady Gaga moment in David Koma's future after seeing this collection walk the runway. Plenty of pieces here to suit a woman looking to make a big statement at an event.